New and fresh, yet retains the trademark Slick Shoes sound. Recording quality shows its weaknesses. Slick Shoes ups their standards for their fourth full-length. Let me start by saying I'm a diehard Slick Shoes fan. I'm not writing this review to harp on the band, lamenting terms like "generic", "typical", or "annoying". I am writing this as a Slick Shoes fan, rather than a lame critic. Since 1995, Slick Shoes has been busting out guitar and drum driven pop punk that's so punk rock, its sick. Shying away from the typical new school punk beat that drummer Joe Nixon plays so well, Slick Shoes' sixth release, and fourth full-length album, is by far the most varied and hard rocking album to date. After spending an EP and two full-lengths trying to find their sound, Slick Shoes adopted guitarist Greg Togawa. Since then, they've released a split CD with Cooter (Autopilot Off), as well as two full-lengths, their 2002 self-titled release being the second. The new Slick Shoes is actually quite a bit different from the previous "Jackson" era. Rather than being full of random guitar solos, monotone vocals, and repetitive drumbeats, we are blessed with twelve well-written songs. Actually eleven, but I'll get to that later. It's impressive the sheer number of radio singles on this album. Radio singles may not be the proper term, as I highly doubt you'll ever hear Slick Shoes on the radio, but there are a bunch of songs released as singles on this album. The record kicks off with "My Ignorance", a track featured on the 2002 Warped Tour compilation, on Side One Dummy records, Slick Shoes' new home. SOD must have liked them, because they signed Slick Shoes to release their next full-length on it, rather then Christian label Tooth and Nail, where their previous six releases have been. The song is a great pop punk tune featuring a barrage of tempo changes, catchy riffs, and a vocal outburst of insecurity and self-doubt. "Pass Me By" is a song about Christmas and features even more neat riffs. It could easily be a single. By far the worst song on here is "Friday Night". It's a shame that this song is featured on the Atticus compilation, because listeners who have only heard "Friday Night" will be immediately turned off, not realizing what the band is fully capable of. They quickly make up for the annoying, generic, party anthem by redoing the now classic "Ten Ways to Stay Out of Debt", a song that originally appeared on the split with Cooter (now known as Autopilot Off). Now known as "Ten Ways", the song features a great bass guitar intro, into fierce drumbeats, with tempo changes, and emotional lyrics. Togawa also provides an excellent guitar solo. "Alone" was the first single from the album, and as soon as I heard it prior to the release of this album, I knew this new album would impress. The song features incredibly catchy riffs, tempo changes, and an array of new stringed instruments and other samples which the band has never used before. The video is also featured on the Enhanced CD portion of the disc. One of my personal favorites is "I Knew", a straight forward pop punk song in the classic Slick Shoes vain, baring resemblance to something you would hear from Sick of Change, only a little more melodic. "Remember" is full of catchy riffs and "So Much More" is a sappy love song about vocalist Ryan Kepke's first love. Brian Wilson's famous lyric is quoted an overwhelming number of times on "Ï A.M.", a strong track, yet remains filler. Slick Shoes' latest single is "No More Words". Similar to "Friday Night", it is a straight up pop punk attack that really doesn't sound like Slick Shoes and Slick Shoes attempt punk rock on "1000 Times Before". The last track on the record is "151". It's one of my favorites, once again featuring great riffs, and tempo changes, as well as a great chorus. Nice choice in closing but leaves you wanting more. 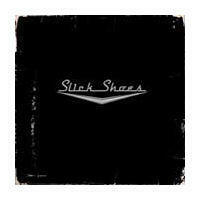 Slick Shoes succeeded in their attempt at something new and fresh in using producer Neil King (Green Day, Elvis Costello), as opposed to Steven Egerton and Bill Stevenson of the All/Descendents fame. Finally, Slick Shoes has released something that doesn't "sound like the old stuff" and in my opinion, it's for the best. Unfortunately, since the release of this album there have been already three line-up changes! First to go was bassist Jeremiah Brown, an original member. After finding a replacement and adding an addition guitarist, guitarist Greg Togawa left. A replacement was soon found and I hear that the band has never sounded better. I personally can't wait for the next Slick Shoes album, in hopes that it will pass up this already great, enhanced, single-filled record. For a Slick Shoes fan it's definitely worth the 5 star rating, but for the average listener, it may be only worthy of 3 or 4 stars. Highly recommend to fans of fast tempo semi-technical pop punk.